In the last several years, the Los Angeles cocktail community has seen an explosion in growth. Top notch bars continue to open at an incredible pace, and many of the best bartenders in the country are right here in the City of Angels. The creativity of these men and women doesn’t end at last call. Bartenders express themselves artistically in numerous ways outside of work. But they often haven’t had a proper showcase for their artistic pursuits. 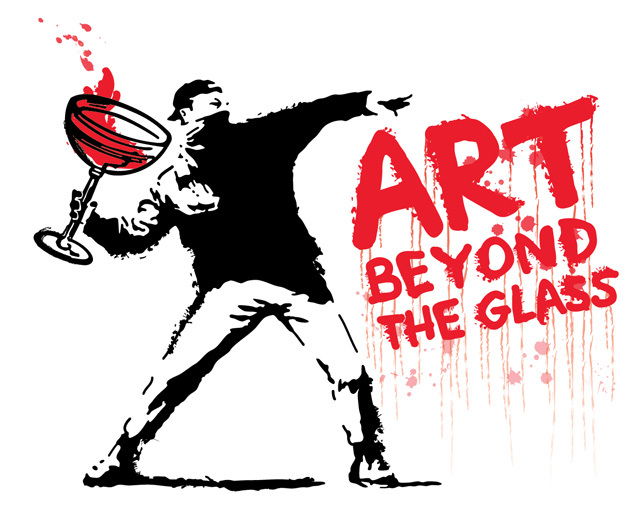 To address this need, Art Beyond the Glass was born. 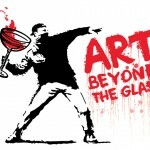 On Sunday, June 17th, LA’s top bartenders will showcase their artistry at Art Beyond the Glass, a special event where everything from the cocktails to the art hanging on the walls and the music coming out of the speakers will be created or performed by bartenders. *The former GM of The Varnish has graciously donated a couple of his graphic prints to display at ABG. Art Beyond the Glass will take place at Sadie Kitchen & Lounge, a stunning, 7,300 square-foot venue that mixes Golden Age Hollywood glamor and modern aesthetics. The Sadie bar program is overseen by Giovanni Martinez, one of LA’s most innovative and highly-respected bartenders. Sadie’s seasonal New Californian menu is overseen by Consulting Chef Mark Gold, the Executive Chef and owner of the acclaimed Eva in West Hollywood. Proceeds from Art Beyond the Glass will be donated to Inner-City Arts, an arts education institution located in the Skid Row area of Downtown LA. Inner-City Arts measurably improves academic and personal outcomes for at-risk youth, including those students with Limited English Proficiency who are at risk of academic failure. To make a direct donation to Inner-City Arts, please visit www.inner-cityarts.org/donate.php. Tickets: $40 online presales, $50 cash only at the door. Special shout out to the ladies of LUPEC for volunteering: Karen Grill (Playa), Jen Len (Drago Centro), Tricia Alley (Southern Wine & Spirits), Cole’s Bar Manager Brent Falco (thank you for your planning help!) and Hollis Bulleit for being fabulous.